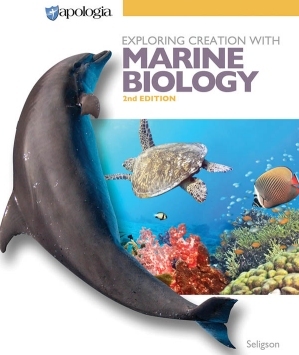 About 12 years ago, Sherri Seligson published a course entitled, Exploring Creation with Marine Biology. 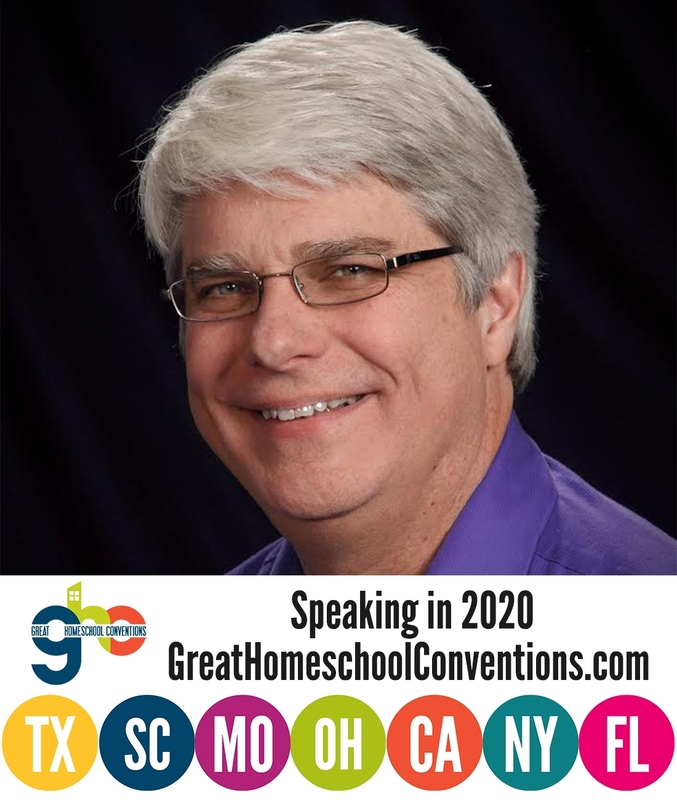 It quickly garnered rave reviews among homeschooling families. Over those 12 years, I have spoken to many, many high school students who have called it their favorite course, and I can remember at least four of them who said that they planned to study marine biology at university specifically because the course had given them a love for the subject. Such reviews have never come as a surprise to me, because Seligson has the “perfect storm” of characteristics for writing an excellent marine biology course for homeschoolers. First and foremost, she knows her subject. She has a degree in marine biology and was the aquarist of the Living Seas aquarium at Epcot Center for four years. Based on her work there, she was able to publish original research on shark behavior in captivity. Second, she has a real passion for the subject. Just ask her a question about marine science. Her eyes will light up, she will smile, and she will enthusiastically answer your question, along with a dozen other related questions that you hadn’t thought to ask. She is also an excellent communicator, being able to adjust the way she discusses a subject so as to meet the needs of the listener. Finally, she is a homeschooling mother, having educated four amazing children who are now adults. Is it any wonder that she could write a course on marine biology that would become so beloved in the homeschooling community? However, 12 years is a long time for a biology course to be around. Our understanding of the natural world changes, and sometimes, those changes are substantial. As a result, science courses need to be updated from time to time. So far, the publisher of Exploring Creation with Marine Biology has been “hit and miss” with its updates. A few years ago, the publisher updated its Human Anatomy and Physiology course, making it significantly better than the previous version. The publisher then updated its chemistry course, with disastrous results. I am happy to report that the publisher is now “two for three,” having produced an excellent update to this already fantastic course. The new course covers the same content as the old course, starting with the physical aspects of the ocean environment. It then moves on to an overview of the organisms found in marine environments, discussing the characteristics of the major kinds of life found in the seas. It then brings all those facts together in discussions of the various ecological zones of the seas. It ends with how people are affecting these organisms and their environments. Like the previous edition, there are several experiments woven into the course. Students dissect certain marine animals, explore various physical and chemical processes relevant to marine life, observe microscopic creatures, and do some activities that help illustrate concepts that would otherwise be difficult to grasp. Most of the experiments are the same as the ones found in the previous edition, but there are some new ones. For example, instead of doing an experiment about how water expands when it freezes (as was the case in the previous edition), students now use household items to help them visualize certain types of tectonic plate movements. Instead of using balloons and socks to understand how roundworms move, students now use balloons and straws to learn the difference between two common digestive systems in marine environments. The best experiment addition, however, is the one on dolphin echolocation. Using household items, students are able to understand how an animal like a dolphin can use sound to sense what is in its environment. This brings up an important point. As was the case with the previous edition, the experiments come in three types: household-item experiments, dissection experiments, and microscope experiments. Everyone can do the household-item experiments. Special kits need to be purchased to do the other types of experiments, however. Since biology is a prerequisite for this course, you might have some of the things already (like dissection tools and a microscope), but you will still need to purchase some new things in order to do all the experiments in this course (like the animals you will dissect and prepared slides for the microscope). Of course, the most important issue in my mind is the updated information in the course. In some cases, the new information is based on recent scientific studies. The new edition, for example, discusses the genetics of creatures that live near hydrothermal vents at the bottom of the ocean. That information simply wasn’t available when the previous edition was published. In the same way, a discussion of how icebergs affect plankton in the ocean is the result of information that has come to light since the previous edition was published. Other added information is not new, but it increases the depth of the course. For example, a discussion of how fishes (as explained in the book, that’s the proper term) deal with water seeping into or out of their bodies has been added. That information was available when the previous edition was published, but it wasn’t included in the previous edition. Nevertheless, it fits seamlessly in the discussion, and it is fascinating. It includes some information that I didn’t know, despite the fact that I have specifically studied that topic in what I thought was some detail. So in then end, I find this to be a better course than the previous edition. It contains a few better experiments, some new information, and a bit more depth than the previous edition. However, since the order of topics hasn’t been changed, I do think that students in a group setting could use both editions and still work together. It would be good for the students to do the experiments in the new edition, and it would be best if students could “compare notes” so that those with the older edition can benefit from the updated information in the newer edition. However, if the cost of the course isn’t a burden, I strongly encourage you to purchase the new edition (along with its solutions manual), even if you have the older one. There are several additional things that are sold with the course. There is a course notebook, which I do not recommend. At this age, students should be comfortable keeping their own notes in their own format. There is an audio book for the course, which can be good for some students, especially auditory learners. There is also an instructional DVD that goes with the course. I have not reviewed that DVD, so I can’t discuss it in detail. I would simply point out that the old edition received its rave reviews and became popular among homeschoolers without the instructional DVD. Thus, a student doesn’t need it to understand and love the course. At the same time, however, Seligson is an excellent communicator with a passion for her subject, so I am sure that much of the DVD is incredibly interesting. I guess the issue is whether or not the price is a burden. Francesco, I prefer that the comments be related to the article. I rarely watch videos for scientific information, because they typically don’t contain sources from which their statements can be confirmed. They are also very slow for me, since I read quickly. However, others have taken the time to watch Aron Ra and find his arguments fairly easy to refute. You can see such videos here, here, and here. Your conference workshop evaluating different science programs is unique in its comprehensiveness and helpfulness. This review continues in that vein. I taught both The Human Body (my personal favorite science) and Marine Biology to high school seniors. Marine Biology was a surprisingly enjoyable course. Despite a lot of definitions, the content and labs were easier than other advanced science courses. I think it is an excellent course for the non-science major teen. They can leave high school having done more in science (advanced science-wow!) than they may have ever expected, and most likely enjoyed it! When People Don’t Believe in God, They Will Believe Anything! When Richard Dawkins Notices Your Inconsistency, You Have a Problem!